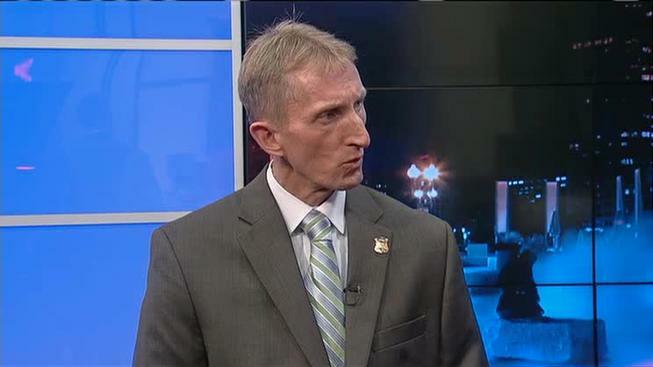 Boston Police Commissioner William Evans says there will be “zero tolerance” for disruptive or illegal behavior from students during Super Bowl LI. Evans wrote in a letter Monday that Boston students should celebrate responsibly. He said that any students who act out in a disruptive way will have their named turned over to their respective Dean of Students. Evans said there will be parking restrictions in/around the Brighton area, Kenmore Square, Northeastern, Faneuil Hall and North Station areas. Extra patrols will be in those areas as well. He recommends people be mindful of their surroundings and walk without headphones in. He wrapped up celebrating Boston sports fans, saying, “Keep in mind that you all play a role in our effort to ensure that the City of Boston is a shining example of stellar sports teams and their fans! Go Pats!"